Shp Jegimi I Kuptimeve Te Kur'anit Te Larte Ne Gjuhen Shqipe. 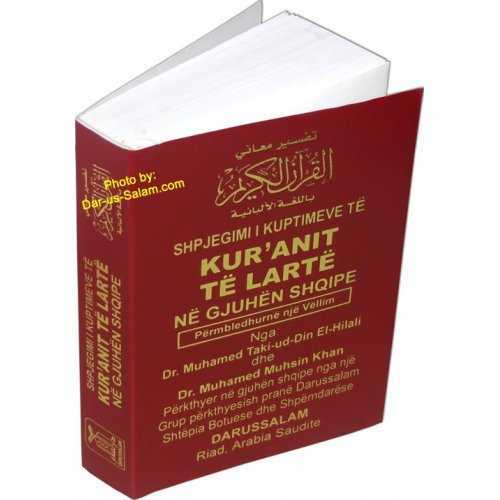 Albanian translation of The Noble Quran with side by side Arabic script and tafsir (explanation) on the bottom. Albanian is the official language for the Republic of Albania. Customer R. on 08/03/2010 Esselamun Alejkum. Compare to other copies of the Albanian translations this is one of the best. 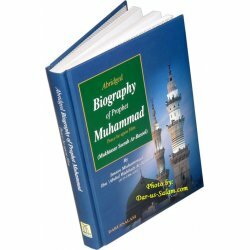 In order to see the defferance for example ,is by looking at the chapter 2:2 I mean the word Al- Muttaqin is left alone cause we have no true translation.., other copies call it .... idevots.....the same name they used to call the priest who never use get married . 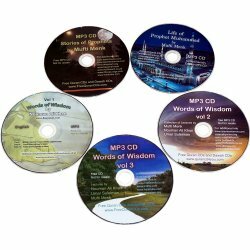 Do we need to take the words from Christians books to translate the Quran? I do not think so. 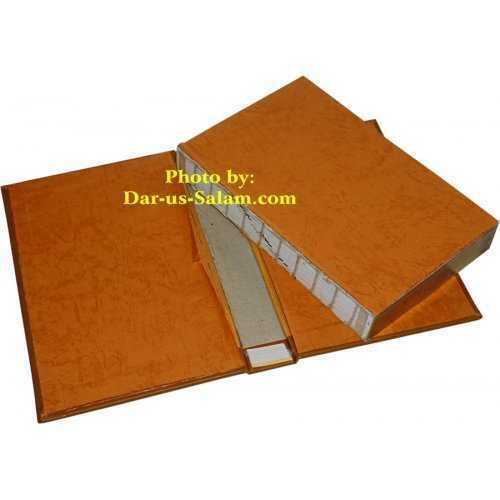 and other exaple is the 2:255 All other translations had a wrong meaning of Kursijj but in this translation give a comment with hadith that if we compare Kursijj with Arsh is like throwing a ring in the dessert which mean it is a astronomical space not just power ...! 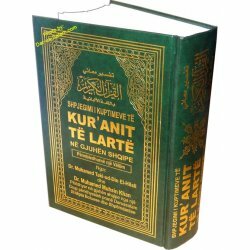 even some imams I heard to not know the difference between Arsh and Kursijj as they told me is the same thing[not true] they need to read more Hadith. 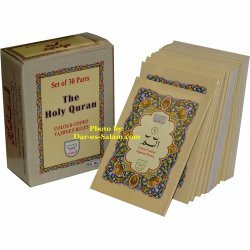 if you have 9 volumes in English or Albanian from Sahih al bukhari this Translation will give you a Guide to find the coment of the Quran in those 9 volumes or 10 volumes of iben kethir or even guide to other books or even from one verse to another verse. 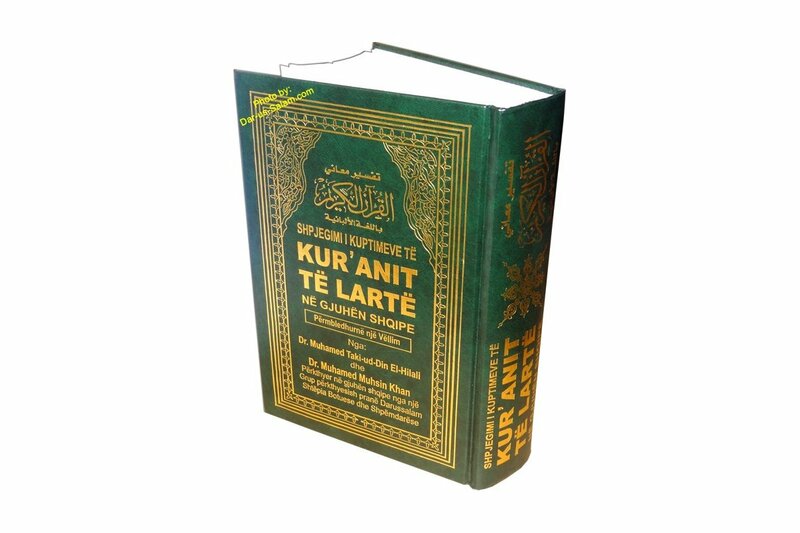 all I have to say I always one to see this kind of translation and now Elhamdul-lilah we have it and other albanians who stady the Quran DEEP need to have this translation. Esselmaun alejkum Refet Dehari.